Solar power is getting increasing popularity as a dependable source for street lighting all over the world. Some of the benefits associated with solar street lights include reduced dependence on conventional energy, conservation of energy and less reliance on the national grid. In countries experiencing abundance of sunlight, solar lights are the best option to illuminate the streets, garden, parks and other public spaces. Nowadays, solar street lights are powered by PV panels, in-built battery, LED lights and smart sensors, all integrated into a single compact unit. 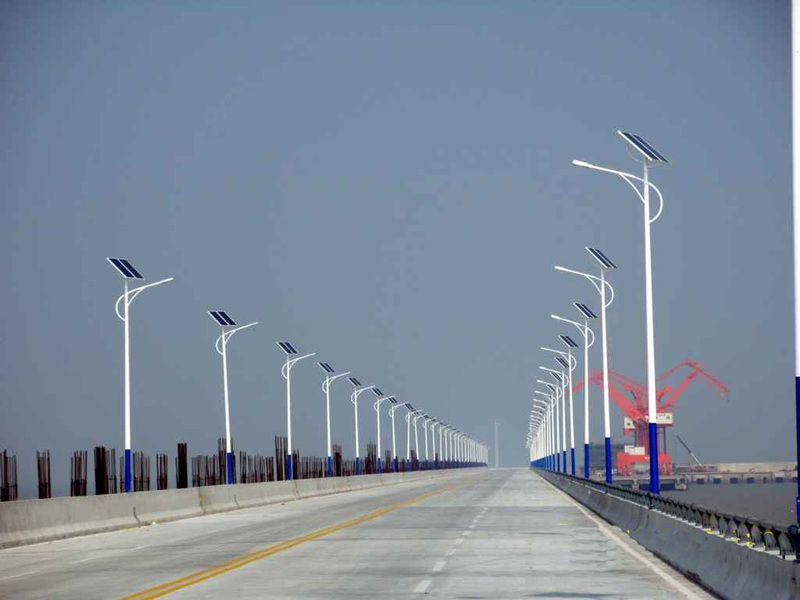 Solar LED street lights have emerged as a cost-effective and environment-friendly to light up roads and public spaces. LED lights are widely acknowledged for energy conservation, are long-lasting and good-looking, and are maintenance-free. These characteristics make LED-base solar street lights well-suited for commercial as well as domestic lighting applications. A modern solar street light has embedded solar panel, inbuilt lithium-ion batteries, battery management system, night and motion sensors as well as automatic controls. The fully automatic device comes with LEDs, inbuilt and replaceable Lithium-ion battery and passive infrared (PIR) sensors. A typical solar street light is weather-proof and water-resistant, has low insect attraction rate and low glare and has a longer life. The embedded solar panel converts solar power into electrical energy which is stored in the inbuilt battery, and used for dusk-to-dawn lighting operations. The main innovation of modern solar street lights is the battery management system which is facilitated by the presence of night and motion sensors. During the first 5 hours of night, the system works at average lumens brightness. Subsequently, the intensity of the light reduces till dawn or until PIR sensor is activated by human movement. When people are within a certain radius away from the light, it automatically turns to its full brightness. This smart feature makes solar street lights device a perfect combination of renewable energy and energy efficiency. Solar powered lights by Deelat Industrial has been tried and successfully tested in a wide variety of domestic and commercial applications. The device is well-suited for lighting up streets, courtyards, gardens, parks, compounds, boundary walls, car parks etc. in an eco-friendly and cost-effective manner. Due to off-grid nature of solar street lights, solar street lights incur minimal operational costs. Such lights are wireless in nature and are independent of the utility company. Compared to conventional street lights, solar street lights require almost zero maintenance. Due to the absence of external wires, these lights do not pose any threat of accidents like electrocution, strangulation and overheating. Infact, solar lights illuminate the streets throughout the night irrespective of power cuts and grid failures. Solar street lights are a delight for environmentalists around the world as it can provide significant lowering of carbon footprint of individuals, homes and businesses. In other words, solar-powered lights are a perfect green lighting solution. In terms of cost, solar street lights are a better investment than conventional street lights if the capital as well as O&M costs are considered.